Poly Ethylene Glycol 400 also known as PEG 400 is a base ingredients for specialized types of e liquid. DO NOT PURCHASE THIS PRODUCT FOR USE IN NORMAL E-LIQUID, this item is specific to customers who need PEG400 for their required application. 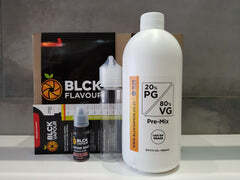 Normal E-liquid mixes make use of propylene glycol.